This email contains beautifully illustrated graphics, so if you don't see them, you should view it in your browser. "a whole different kettle of fish"
Ever wonder where some of the phrases we use in language come from? Take "kettle of fish". It's quite a strange concept really. 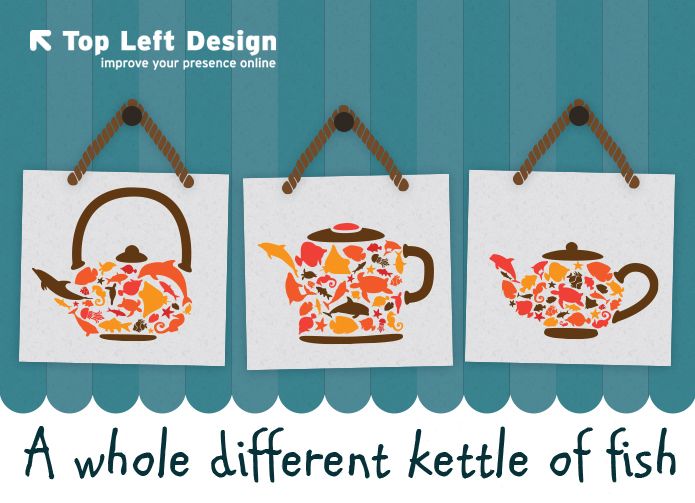 Who even thought of the first kettle of fish - let alone the next ones which were "different". But then, of course, it hit me! They were talking about websites! 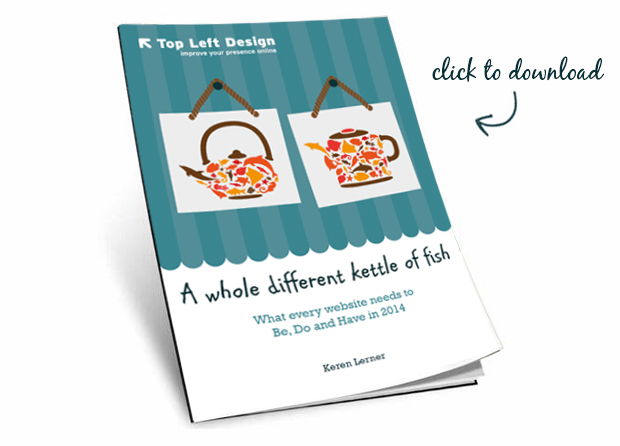 "A whole different kettle of fish" is about websites. Of Fish - which represent community and movement - you don't see many lonely fish - and you don't see fish standing still! From this simple phrase we can learn a lot. But if you want to keep things practical - click below to download our free report "What every website in 2014 needs to be, do, and have". Enjoy this New Year's gift and see you next time for more updates from TLD! PS. For a bonus New Year's gift email us to tell us how many bears there are in this newsletter. Just be glad we didn't ask you to count the fish!